Realization © 2013.| Xcreative - webdesign. A natural cosmetic product with 26 Dead Sea minerals for hand and nail protection. 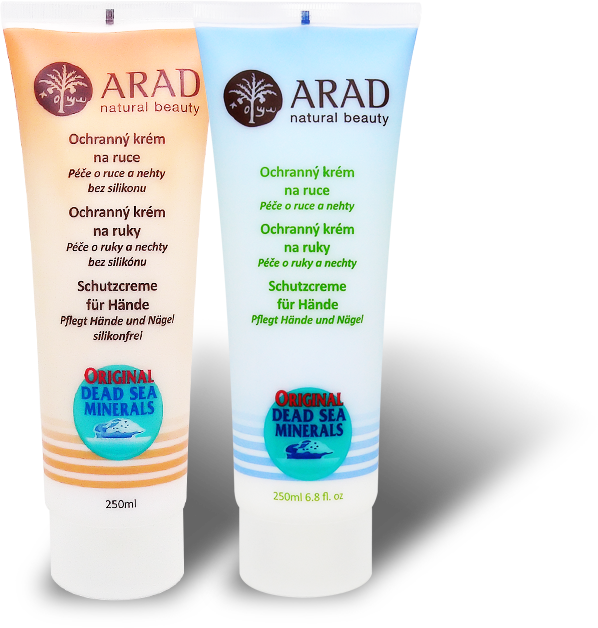 ARAD protective cream contains nutritious substances that protect your skin against dehydration and other negative effects of work activities, such as frequent changes in temperature or working in sub-zero temperatures. It is absorbed very easily, does not leave the feeling of greasy hands, and is ideal for dry and normal skin as well as skin suffering from dermatological issues, such as redness of skin or cracks along the nails or between knuckles. It also helps to alleviate allergic reactions.